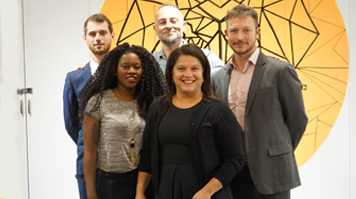 London South Bank University’s (LSBU) Entrepreneurship and Innovation Institute hosted an evening celebration to conclude another successful year for two of its start-up programmes – Rocket and the Graduate Entrepreneur Scheme. The event held on 27 September invited scheme participants to pitch for five minutes about their business ideas, future plans and personal journeys, to a crowded audience at The Artworks Elephant. The Graduate Entrepreneur Scheme is open for applications for 2016/17.